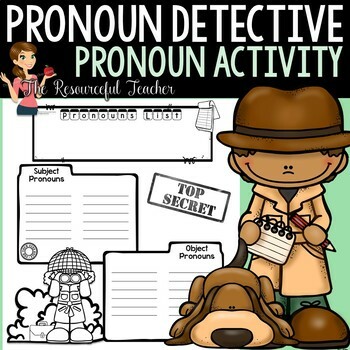 Use this Pronoun Detective Activity to engage your learners in a fun and captivating way. 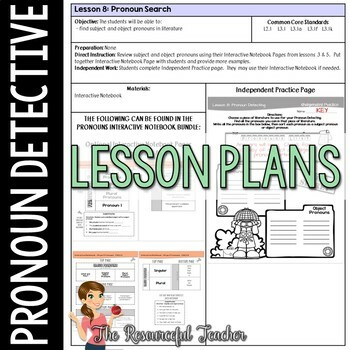 Students become Pronoun Detectives and search for subject and object pronouns in literature. This lesson is complete with teacher lesson plans, activity pages, and answer keys. - Students will be able to find subject and object pronouns in literature. 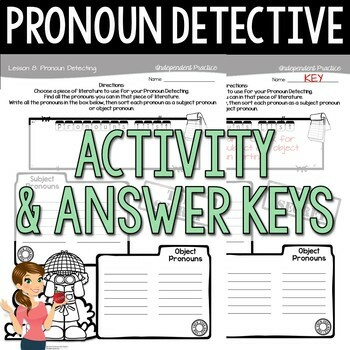 This product is part of my Pronouns Interactive Notebook Unit!